My two girls. Both pregnancies …so far, as I’m currently 28 weeks along with the second, have been really easy and very healthy. I just got my glucose test results this week and I’m neither diabetic, nor anemic and my thyroid is great. The two, however, couldn’t be further apart. My perspective has completely changed. Between the two girls I’ve lost 4 pregnancies. 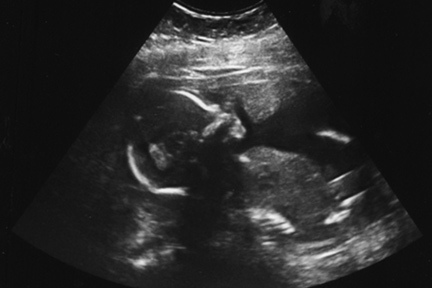 One we had to terminate at 24 weeks and the last three were miscarriages between 6-10 weeks. With P I never worried about anything. I had the confidence that only youth and ignorance can bring. I assumed that because I had lived a very healthy lifestyle my entire life it was a guarantee to having a healthy baby. Little did I know that although that may carry over in some areas it has very little to do in others. Conceiving is a mysterious art and a combination of timing and genes of two people. The miracle of life is a miracle. We are complex creations with a lot of systems coming together to make us work properly. After all my loses I’ve worried about everything during this pregnancy. I went on progesterone during the first trimester. Apparently it’s quite common but that made me worry. We had a CVS to rule out any issues at 11 weeks. I worried. The 18 week ultrasound had both Dave and I bawling during the entire thing! It was during this ultrasound that we found out of baby #2’s issues. Before my second trimester blood work, that rules out other problems, I was in a stairwell crying for 20minutes. I was almost hyperventilating with fear and couldn’t get myself to go in to get blood drawn. I was petrified of bad news. I had to call Dave and I wished he could have been there with me. I worried during the glucose test. 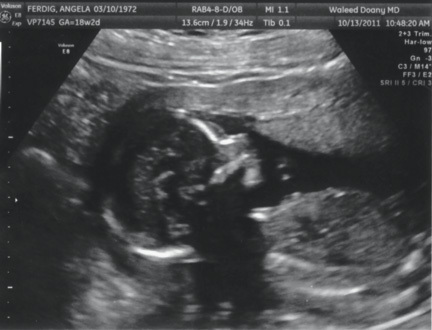 And it took until the 18 week ultrasound for me to stop worrying every time I went to the bathroom. I kept thinking I was going to see blood. I’ve had everyone and their mother tell me to stop worrying. Easier said than done after all I’ve experienced. I felt so much better when I saw the perinatologist. He said P was my saving grace. He has seen so many women in my same situation, except they had not had one successful pregnancy. These poor women were so traumatized he wanted to send them home with an ultrasound machine because they wanted to know how the baby was doing 24/7. It was understandable after all they had been through. Finally, I was talking to someone who completely understood where I was coming from! At this point, now that we’ve made it so far with this pregnancy, I am almost glad for my new point of view. It’s given me empathy for people who have struggled to have children. I’ve become educated in the process and how there is no one to blame. Not conceiving is not an illness. It’s just a part of life not many talk about. It’s made me more tolerant of the normal discomforts of pregnancy. And mostly it’s made me appreciate the child I have and the one I hope to soon have. They are both amazing gifts. I thank P everyday for being my source of hope. And I thank the one in my belly for coming to join us. I tell her how much we are all looking forward to having her in our lives. Then P reminds me she is already in our lives, she’s just inside me, but she’s here!